Get your hands on £5 Free Bets by betting on your preferred Goalscorers with the Euro 2016 Bonus! Bet £25 (or more) on the Euros Top Goalscorer, and the online sportsbook will credit your account with £5 Free Bets every match your player scores in. It’s that simple! But just make sure to place your bets before 17:00 BST, June 15, to qualify for the Euro 2016 Bonus. The tournament kicks off on June 10 with hosts France 1.30 (30/100) playing against Romania 14.00 (13/1). We suggest you keep an eye on France’s Antoine Griezmann – one of their main attacking threats – as he’s enjoyed a marvellous season with Atletico Madrid and is in top form at the moment. So it would be wise to select him as your Goalscorer to collect £5 Free Bets with Betway’s Euro 2016 Bonus! Griezmann has scored a whopping 32 goals across all competitions for his club last season, so he’ll likely find the back of the net for France this summer. Portugal 1.65 (13/20) will face Iceland 6.00 (5/1) on June 14, which should give current Champions League winner Cristiano Ronaldo plenty of opportunities to score a few goals. 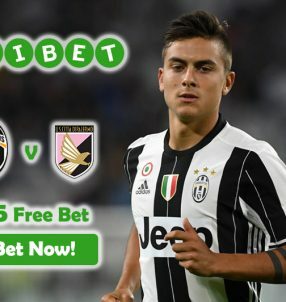 We can easily see you getting another £5 Free Bet with the Euro 2016 Bonus just by placing a wager on him. Germany’s Thomas Muller enjoyed his best season with Bayern Munich in terms of goalscoring success – notching 32 overall for the Bavarians. We’ll likely see him spearhead the German attack, so don’t hesitate to place a wager on him to get the Euro 2016 Bonus! Joachim Low’s men 1.61 (8/13) open their campaign at the Euros against Poland 5.00 (4/1), but we think that may a tough gave, despite the latter being given high odds, per online sportsbook Betway. Join the online sportsbook today and bet on the Euros Top Goalscorer market to win £5 Free Bets with Euro 2016 Bonus! 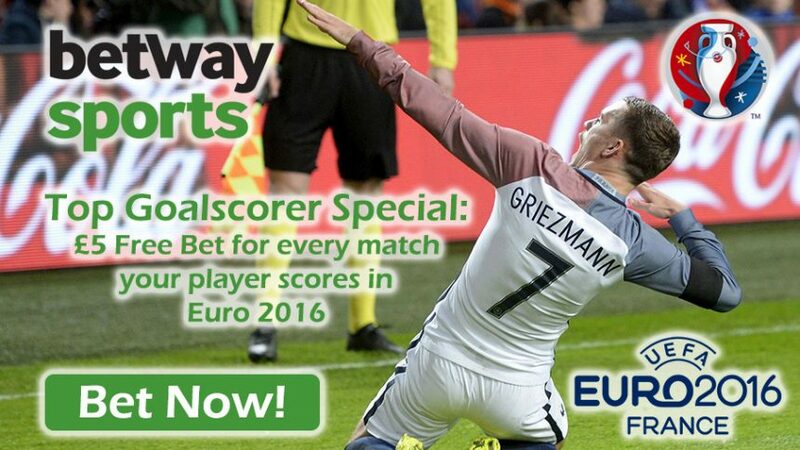 Get £5 Free Bets with Betway’s Euro 2016 Bonus!